Keeping good statistics about your website is an absolute necessity. It helps you recognize trends and identify areas where you are underperforming so that you can make the right decisions to help you grow. Yet keeping good statistics has another purpose: it helps determine the value of your business. Someday you may want to sell your site or your online business, and having access to quality data on how it is doing will prove to be invaluable later on when the day does come to move on. The general rule of thumb when determining the value of a business is that it is worth 2.5 times its yearly revenue. So, when you go sell the business, or even to just determine what it is worth, you’ll need reliable revenue numbers. If you go to an investor expecting them to take your word about how much the site makes, you can expect to be laughed out of the room. However, if you go with data to back up your claims, that’s a different story. A business that is growing is worth more than one that is not. If you can demonstrate to investors that the arrow for your business is pointing up and that it is likely to continue to do so, you are more likely to get a better valuation. And there is nothing like month-by-month data to be able to demonstrate this trend. Plus, if there are months where things didn’t go well, you can more easily explain them away, conveying more clearly the overall health of the business. Another thing that helps determine the value of a website or online business is its records. Investors want to know that what they are seeing is all there is to see, and they also want to make sure that they are entering a safe venture that won’t run into accounting or legal problems down the road. 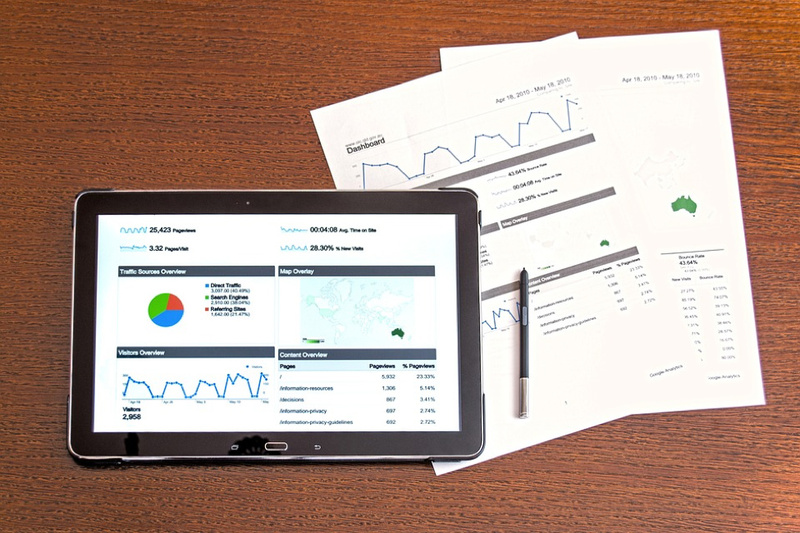 Having the numbers about how your website performs will help clear up these doubts and encourage investor confidence. One of the best things that comes from website statistics is the insight you can gain about your market. You can learn valuable demographic information about your audience, and you can also learn how they ended up on your site and then what they do once they get there. This impacts your business’ value in two ways: first, it helps identify potential risks. Maybe you are overly dependent on one group. If this is the case, having a plan in place to diversify your market will show investors you’re serious about risk management, helping add to the company’s value. And second, having this information about the market helps point out areas of focus for the new owners. They will be able to see more clearly how the website will grow, and this will make them more likely to give a higher valuation. All in all, website statistics play a critical role in determining the value of your site. If you aren’t collecting data now, you’re setting yourself up for a lower valuation and for some potential disappointment down the road. About the author: Jock is the founder of Digital Exits, a brokerage service that specializes in the buying/selling and appraisal of online businesses. He helps clients get the best deal for their websites and other internet companies, and always advocates for strong data and records management, as it helps secure a higher valuation.